Hello and welcome to Studio 5380. Thanks for popping in for a visit! 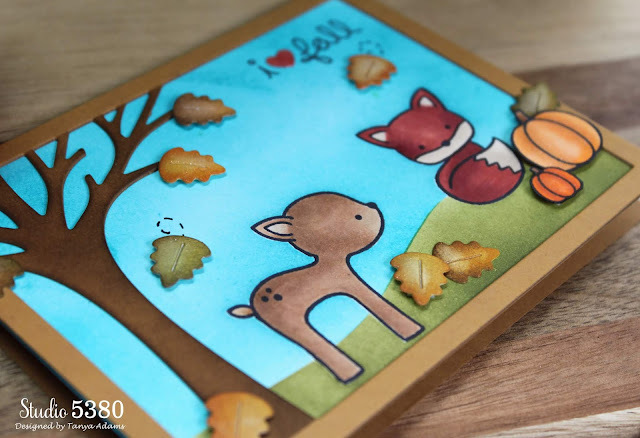 These sweet images are from the "Into the Woods" stamp set by Lawn Fawn. Images were colored with Copic Markers and the background was created with Distress Inks. 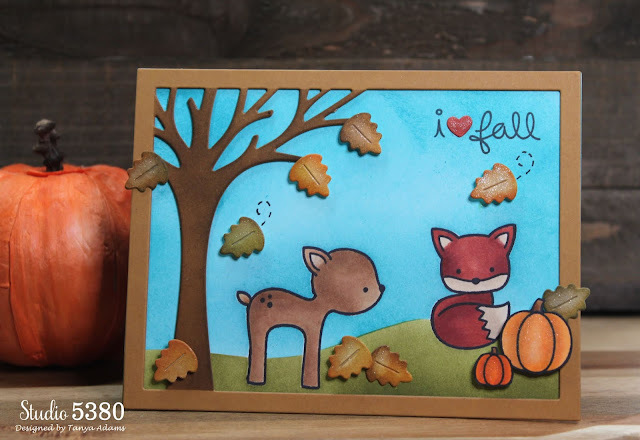 I also used Lawn Fawn's "Leafy Tree Backdrop" die. So, I'm gonna display my sweet little fall scene in my studio while I burn a pumpkin pie scented candle and crank my AC way down. If fall won't come to me, I'll just create my own little autumn paradise! Thanks again for stopping by. I hope you have a wonderful day - see you soon! Still in the upper 90's here too.... I'm totally with ya... The only excitement I see is all the Pumpkin Spice stuff everywhere.... I've been buying it all up! hahaha At least I can enjoy that part of the Fall season! 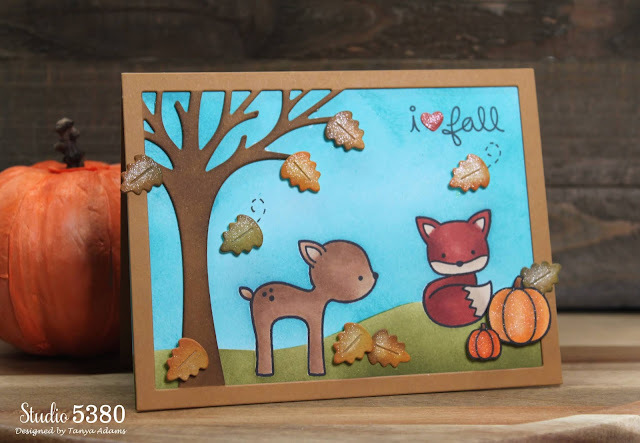 :) Your card is super cute.. Love the leaves falling from the tree around the sweet critters! :) Have a wonderful week! Oh wow, it's only 55 degrees here! I wouldn't mind some warmer temps...send it my way! Your fall card is simply adorable!!! Love the sweet little critters! New Hobby...like I need a new hobby!